Many of us have read Shakespeare and almost all of us have heard of him. His plays and poems have gone down in history and are still popular in the modern times. Some of his well-known plays are Romeo and Juliet, Hamlet, Macbeth, The Taming of the Shrew and As You Like It. Out of all of his plays, some of the most beautiful prose is found in A Midsummer Night’s Dream. Also, in my opinion, it is the easiest to understand, considering the odd Shakespearean language that is used. 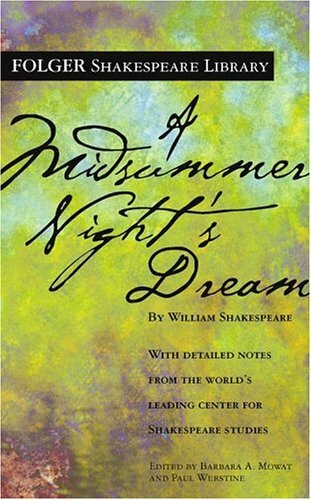 A Midsummer Night’s Dream is a fantastical tale of misunderstanding, love potions, and immense comedy. The Duke of Athens and the queen of the Amazon’s are soon to be wed. however, there is a problem. Hermia is betrothed to Demetrius, but she is in love with Lysander. If she doesn’t agree to marry Demetrius, she will either have to enter the nunnery or die. To add to the dilemma, Hermia’s friend, Helena is in love with Demetrius and her feelings are unrequited. When the couples venture into the woods, they fall into the trap of the King of the fairies and Robin Goodfellow, his servant. The well meaning pair cause much upset with the help of a magical flower that makes people fall in love. Will they be able to make things right again?